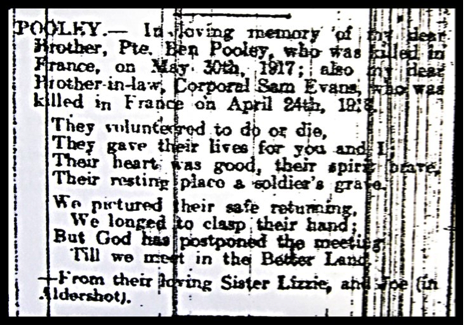 Joshua’s last known relative in the parish passed away in 2015, not long after providing some information about him and his service in the war. 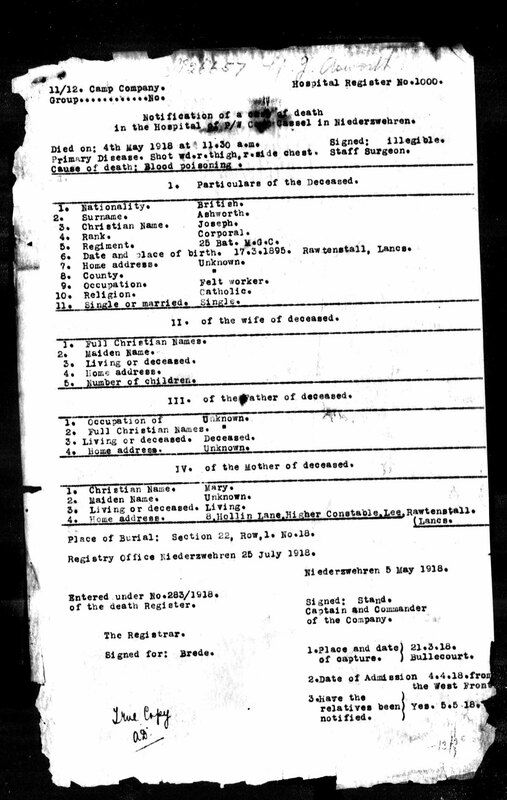 Further detail about Joshua has proved difficult to find and it may be that his military records were amongst those destroyed or badly damaged during the second world war. 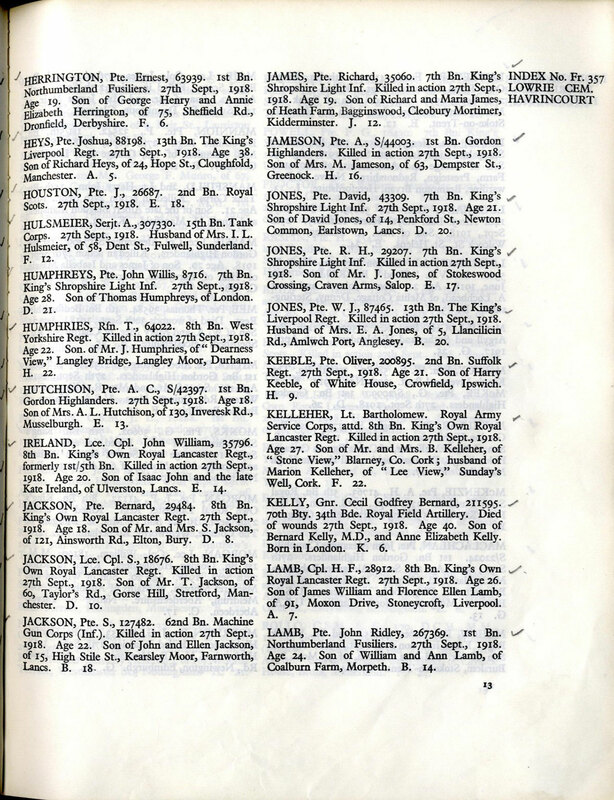 What is known is that Joshua was born in early 1880 in Rawtenstall and in the census of 1911 was recorded as being a single man living with his father Richard and step-mother, Mary at Hope Street, Cloughfold.  During the early years of the war Joshua worked as a weaver at Longworth’s mill off Bury Road in Rawtenstall. 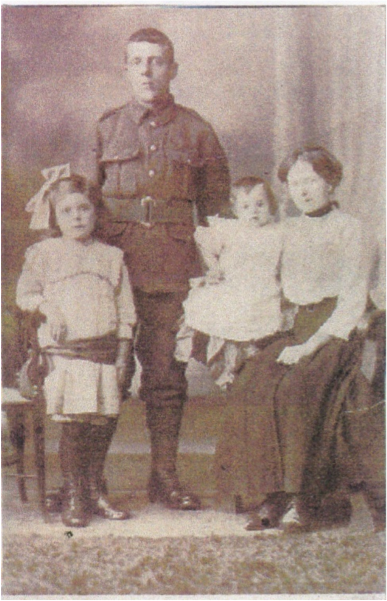 In early 1917, before the introduction of conscription of all men up to the age of 41years, Joshua enlisted with the Kings Liverpool Regiment, at Rawtenstall. After training he was posted to France in late 1917. In September 1918 his battalion was part of the Third Army tasked with capturing the heavily Havrincourt, a heavily fortified village south of Calais, as they pushed towards the Hindenberg Line. Havrincourt was taken over a number of days and held despite counter attacks by the Germans. It was during this battle that Joshua was injured and wounded and later died, just 45 days before the end of the war itself. 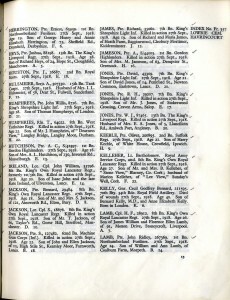 Joshua was buried, along with about 250 other soldiers killed in the same battle, at the Lowrie Cemetery, near to Havrincourt. 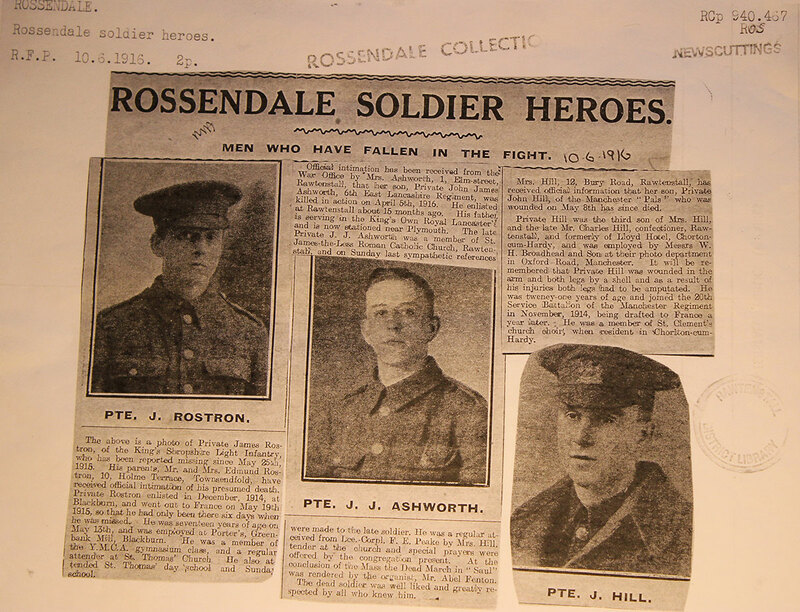 In November, Joshua’s father was notified of his death and a short article appeared in the Rossendale Free Press.